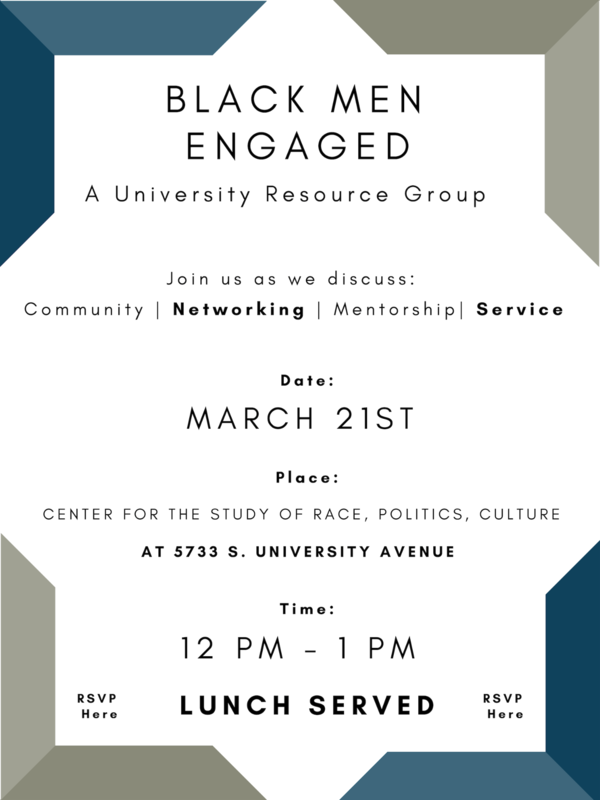 Black Men Engaged (BME) is a University Resource Group. We seek to build community and camaraderie among Black Men at the University of Chicago. The resource group also serves to promote the importance of service, mentorship, and professional networking on and off campus. For more information, contact Tobias Spears. This meeting is closed. Stay tuned for our next meeting.